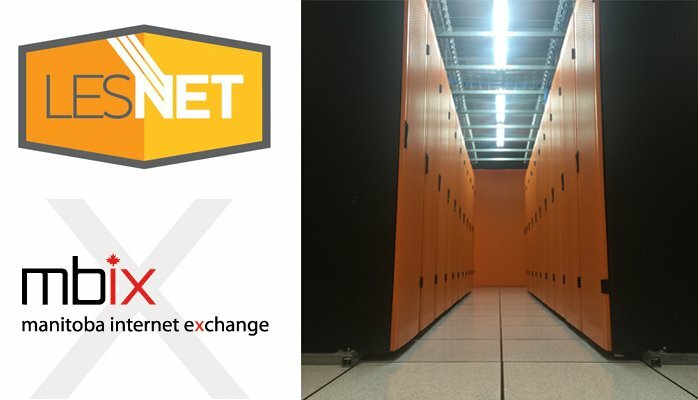 LES.NET has donated a couple strands of Dark Fiber to the Manitoba Internet Exchange! We deployed a nexus fabric extended at YWG2 and fired up 20 GIGABITS of connectivity back to the core MBIX switch! MBIX is the Manitoba Internet Exchange, a non-profit entity with a board of directors dedicated to seeing that Canada has, and controls its own Internet.